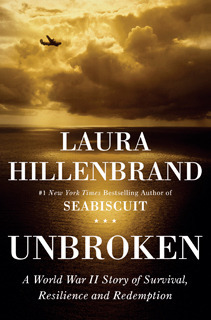 Even though I knew that Louis Zamperini survived insupportable agonies (this can’t be considered a spoiler: the word survival is in the subtitle), Laura Hillenbrand’s taut pacing of the narrative created and sustained tension as I read along. 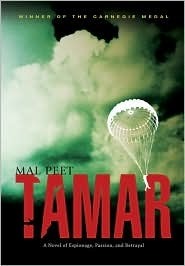 When I came to the point where—after having been officially declared dead then later confirmed alive, the war having been concluded, his fragile health jacked up above survival levels—Zamperini is escorted home by his brother Pete, the dam of my emotions gave way; spasms of sobs shook my frame. Over Long Beach, they sank back into the rain and landed. 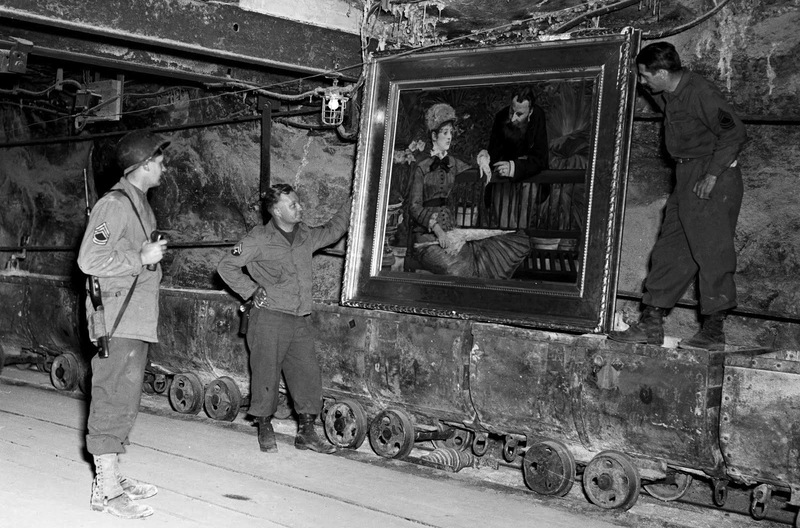 There, bursting from army cars, were their father and mother, and Sylvia and Virginia. The moment the plane stopped, Louie jumped down, ran to his sobbing mother, and folded himself into her. “Cara mamma mia,” he whispered. It was a long time before they let go. Unbroken is the story of a series of rescues in Louie Zamperini’s life: how running rescued him from a mutinous youth careening with crime, the rescue from 47 days on a raft, how he was rescued from sadistic focus of a brutal war criminal, and the ultimate rescue of a tortured post-war veteran. Resilience is hard to detect in a body well nourished, well rested, and well kept. Resilience needs adversity, agony, and misery to have something to rebound from. Zamperini’s story is replete with deprivation, danger and destruction. Sharks, both human and piscine, seek to devour him. He offers bodily resistance as long as he is able. His indomitable spirit resists when his body is incapable. In the midst of despair in an inflated raft in the middle of the Pacific Ocean, there is a day so exquisitely described which completely changed my idea about the doldrums. It was an experience of transcendence. Phil watched the sky, whispering that it looked like a pearl. The water looked so solid that it seemed they could walk across it. When a fish broke the surface far away, the sound carried to the men with absolute clarity. They watched as pristine ringlets of water circled outward around the place where the fish had passed, then faded to stillness. For a while they spoke, sharing their wonder. Then they fell into reverent silence. Their suffering was suspended. They weren’t hungry or thirsty. There were unaware of the approach of death. As he watched this beautiful, still world, Louie played with a thought that had come to him before. He had thought it as he had watched hunting seabirds, marveling at their ability to adjust their dives to compensate for the refraction of light in water. He had thought it as he had considered the pleasing geometry of the sharks, their gradation in color, their slide through the sea…Such beauty, he thought, was too perfect to have come about by mere chance. That day in the center of the Pacific was, to him, a gift crafted deliberately, compassionately, for him and Phil. Joyful and grateful in the midst of slow dying, the two men bathed in that day until sunset brought it, and their time in the doldrums, to an end. Louis Zamperini’s story continues to the present (he is still alive and recently spoke at my friend’s church). 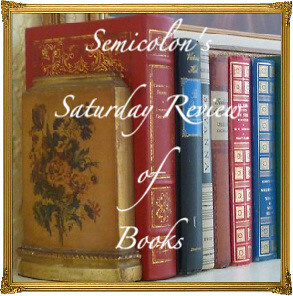 It’s easier to end a book when the subject has died; there is a clearly defined finish. When the main character is still alive it takes more skill to bring the story to a conclusion. Laura Hillenbrand wraps this remarkable man’s story with one final scene. The significance of it escaped me at first. I went back and reread a paragraph. Oh! Again, emotions pressed down hard to the overflowing point. The beauty, the profound and glorious beauty of this scene was the satin ribbon that tied this story together into a perfect bow. The final sentence undid me. I wanted to know Eisenhower better. Stephen Ambrose admires his subject. He begins, “Dwight Eisenhower was a great and a good man. 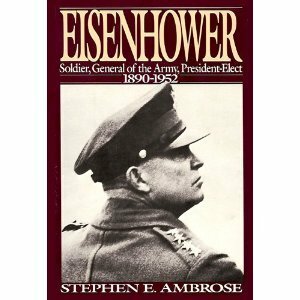 He was one of the outstanding leaders of the Western World in this century.” This is the first volume of a two-volume biography of Eisenhower. Anyone interested in leadership would benefit from reading Ike’s story. As a general, Ike comprehended the sacrifice that both the soldiers and their families made. It wasn’t until he was in his fifties, that Eisenhower received acclaim and notoriety, primarily as the Supreme Commander of Operation Overlord. Eisenhower was also the NATO commander, president of Columbia University and president of the United States. This volume ends with Eisenhower as President-Elect of the United States. I found Ambrose’s book engaging and helpful. At no time did my interest lag. I was inspired by Eisenhower’s discipline, organizational skills and perception. 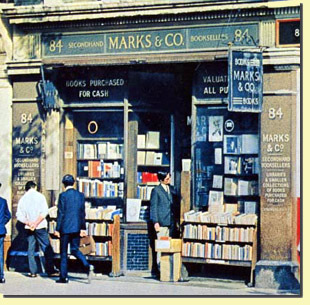 A fun coda: I have a habit of immersing myself in books on (relatively) obscure topics. I find myself wanting to discuss the ideas and events I have read about, but coming up short on conversation partners. Honestly, what would dampen a dinner party faster than, “I know, let’s talk about Truman and Eisenhower!”? I discovered recently that among my acquaintances are a couple who were friends with Ike and Mamie Eisenhower during their retirement years in Gettysburg. They were full of stories about the Eisenhowers. I lent them this book; Ray read it through in three days. I’m looking forward to some great discussions. An unexpected gift! 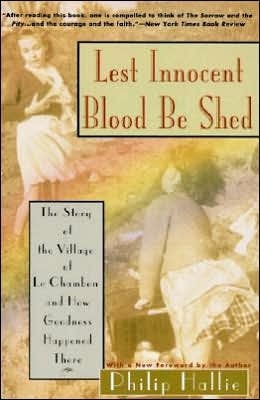 I had already read stacks of Holocaust memoirs and was suffering “misery fatigue” when I bought German Boy . What compelled me to buy and read this book? 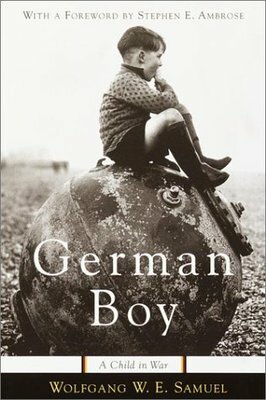 Simply because it is written from the point of view of a German boy; other than Hitler’s Mein Kampf and All Quiet on the Western Front, I had not read a German narrative. Apparently, misery does not recognize boundaries. Once again I am astonished at the suffering a human being can survive. Wolfgang Samuel’s story covers the time between his tenth birthday, January 1945, in Eastern Germany to January 1951 when Samuel, his mother and her new American husband leave Germany for America. As the narrative begins, Wolfgang, his sister Ingrid and their Mutti (German for “mom”) leave in the middle of the night to flee Russian troops entering their city. This is the first of many three-suitcase trips. The family of three lives with Mutti’s parents until they again travel west. The formal end of hostilities did not bring an end of deprivation, an end of hunger, or an end of violence. someone will have a heart and will take a look at me–and stop for us. Amongst the multiple migrations searching for a safe place, the family takes a small room near the train station. After months of dwindling food supply and no way to feed her family, Mutti does the unthinkable. A Russian man starts to visit at night; in the morning a steaming two-liter can of soup sits on the windowsill. Even so, Wolfgang protests: Mutti, you shouldn’t be doing what you are doing. Only Dad should sleep with you. It is a raw story, a poignant story. Almost every woman Wolfgang was associated with at this point in his life was raped by soldiers. Carnage caresses his life. Besides daily bombings, Wolfgang lives through a strafing attack on a long column of refugees where people five feet from him were killed. He witnesses a school fellow’s drowning. His father shows up and leads them in a night crossing, dodging Russian patrols, through a blizzard to the American zone. And yet, in the way a child focuses on the immediate things, he also remembers the loneliness of being ostracized by other German boys, the boredom of bad schools, the shame of ill-fitting clothes and the petty corruptions of life in a refugee barracks. Living next to RAF Fassberg, Wolfgang witnessed firsthand the continual air traffic of the Berlin airlift. When the Americans arrived, Sergeant Leo Ferguson made his entrance. He fell in love and married the now-divorced Hedy (Mutti’s name); he was the means for Wolfgang and his Mutti to move to Colorado. 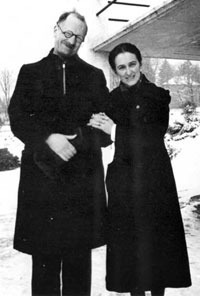 Wolfgang’s sister Ingrid remained with her father. Enamored with pilots and airplanes, Wolfgang served in the U.S. Air Force for thirty years, retiring as a colonel. In June 1998, Wolfgang Samuel was a speaker at a conference commemorating the fiftieth anniversary of the Berlin airlift. His story arrested the attention of Stephen Ambrose, who encouraged Samuel to publish his book. I cannot conceive of circumstances leading to the choices Hedy made. I shuddered and recoiled as I read. I have a relative who lived through post-war Austria. In the past, when I have asked for this person’s story, the answer was always a silent shaking of the head, a polite refusal to revisit that period. I still have no idea what that story would be, but after having read this book, I am inclined to never again ask that question.